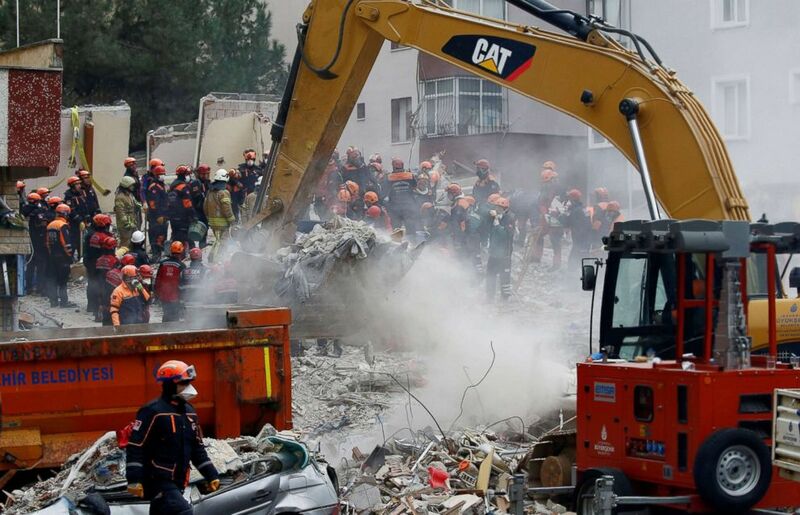 A 5-year-old girl was pulled from a massive pile of rubble on Thursday in Istanbul, some 18 hours after a 14-unit apartment building collapsed and killed at least three others. 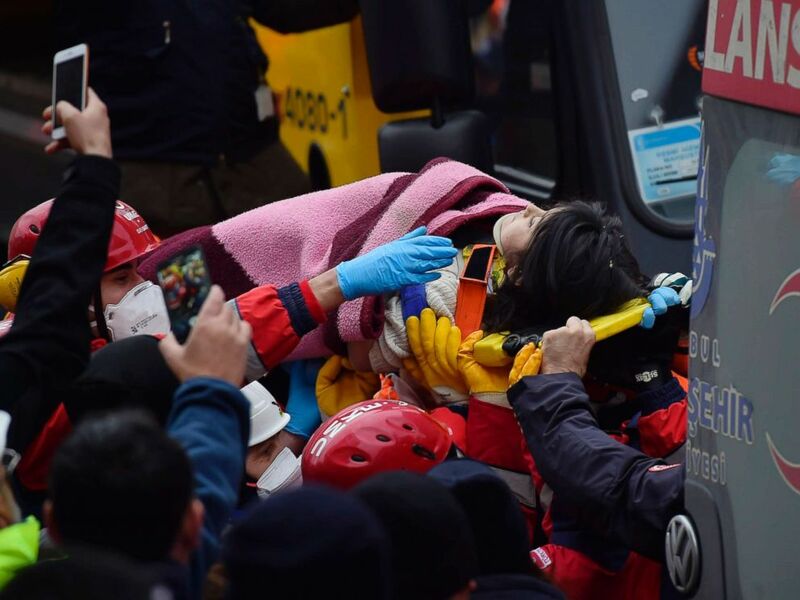 Rescue workers carry 5-year old girl Havva Tekgoz, is carried to a waiting ambulance after she was pulled from the rubble of an eight-story building, approximately 18-hours after it collapsed, in Istanbul, Feb. 7, 2019. 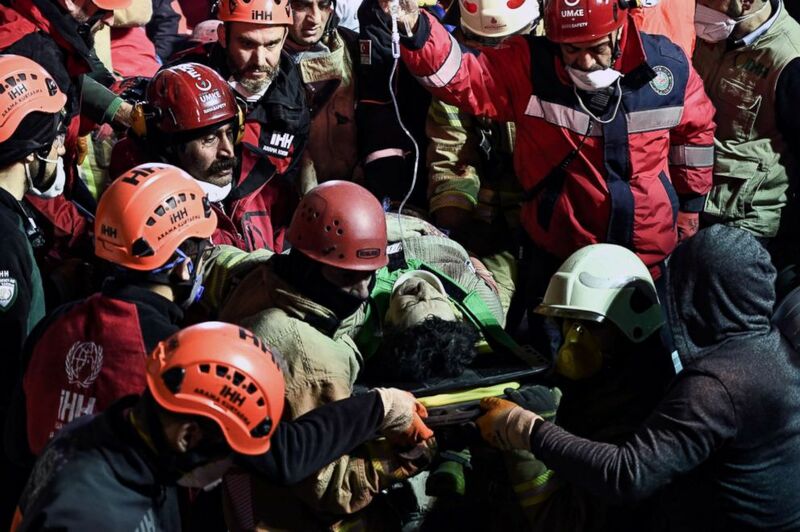 Rescuers carry an injured woman on a stretcher from the site of a collapsed building in Turkey, Feb. 7, 2019. The total number of survivors so far is 13, authorities confirmed to The Associated Press. The building had 43 residents. Video footage shows Havva Tekgoz, 5, being uncovered from rubble by rescuers before she's taken away on a stretch. A 9-year-old boy also was rescued overnight.